Our five senses are critical to our lives, helping guide us through everything from the daily tasks of walking, talking and eating to the more complex functions like creative and artistic projects, playing sports and critical thinking. By stimulating the senses through what’s called Sensory Play or Sensory Activity, we can help develop our children’s creativity while also encouraging social, emotional, cognitive, physical, and linguistic development. Sensory play also helps strengthen the brain’s neural pathways and connections which leads to greater learning potential. Children on the autism spectrum, however, often have difficulty with everyday sensory stimulation, and this inability to cope with the world around them can make day-to-day experiences feel overwhelming and make it difficult for them to learn and carry out basic daily functions. According to the National Autism Association 1 in 68 children are affected by autism, with the rate growing steadily over the last 20 years. Researchers aren’t sure why, but autism affects boys more than girls. With early detection, children with autism can live long, productive lives. Fortunately, there are many sensory activities for autistic children that can help change the way the brain reacts to touch, sound, sight, and movement. Engaging in sensory play is a fun way for kids on the autism spectrum to stimulate their brains so they can become better learners, benefit from a longer attention span, and learn how to communicate with their peers. Sensory activities for autism can help improve a range of developmental issues including cognitive development, improved coordination and increased concentration – just to name a few. Simply put, sensory activities are those that stimulate the 5 senses – touch, smell, sight, taste, and sound – as well as the vestibular (responsible for our sense of balance) and proprioceptive (keeps track of and controls the different parts of our bodies) systems. Sensory activities can benefit all children, but are of particular help to those on the autism spectrum. What are the benefits of sensory activities for autistic children? When a child is fully engaged with all of their senses in a particular activity, more neural pathways are actually created in the brain! Sensory activities can benefit all children, but are of particular help to those on the autism spectrum. Language skills. Engaging in pretend play helps develop a child’s language skills by increasing their vocabulary as they discuss their experiences. Fine motor skills. Manipulating small objects not only aids in hand-eye coordination, but it also helps strengthen the muscles in a child’s hands and wrists, which in turn helps develop their fine motor skills. Gross motor skills. Encouraging kids to practice their running, jumping, and throwing skills through pretend sensory play is an excellent way to develop their gross motor skills by strengthening their large muscles through fun body movements. Social skills. Engaging in pretend play with peers doesn’t just build little imaginations. It also teaches important skills like sharing and taking turns! Self-control. Sensory play helps develop a child’s ability to respond appropriately to sensory stimulation, which helps enhance their self-control and self-regulation. Sensory activities can also be very calming, which can be particularly helpful to kids on the autism spectrum. If you haven’t already done so, it may be a good idea to discuss sensory activities for autism with your child’s occupational therapist or another trained professional to discover which types of activities are best for your child. Whether you’re looking for sensory play activities for babies, toddlers, preschoolers, kindergarteners, or school-aged kids, we’ve got you covered. 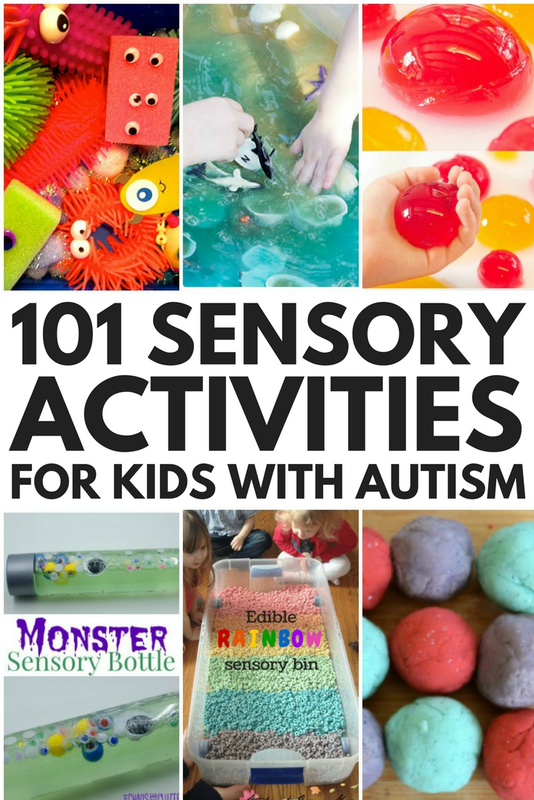 We’ve collected 101 sensory activities for kids with autism to help stimulate their senses, develop their social, language, fine and gross motor, and self-control skills, increase their attention spans, and help them learn. You’ll see when you dive into these projects that they can be used for kids of all abilities – not just those with autism. All kids seem to love sensory activities! Note: Meraki Lane does not endorse any of these sensory activities for autistic children, we are simply sharing recommendations for sensory play ideas. Before you and your child try any of these activities, please be sure that all materials are safe for your child. If you have any other suggestions, feel free to get in touch! Happy playing! This mimics the natural phenomenon of low and high tide, and can be done as a mini-science experiment. And it doubles as a sensory box to play with outside! Frozen oobleck can be made from cornstarch, water and food coloring (or without the food coloring) and provides endless hours of melty, gooey, messy fun. Oobleck is based on the Caldecott Award winning book, Bartholomew and the Oobleck by Dr. Suess (a fun book to read along with your play). Oobleck is kind of like gooey playdough! This sludge looks and feels amazing! Kind of like being in a mud bath. Kids love it! It stretches and plops in a satisfying squishy way. You can use natural food coloring to make it any color you like! Slime recipes are all over the internet these days and I like this one because it’s dirt cheap and I’ve already got the ingredients–plus the cocoa makes it smell amazing! Kids will love watching the bubbling baking soda and vinegar combine. It doesn’t taste great, but it’s safe if you have an oral sensory seeker. It doesn’t get any easier than this. With a little wind resistance the plastic bag kites drag and blow around just like traditional kites from the store. The crackling of the plastic bag makes a satisfying noise and it’s a great (cheap) outdoor activity! This is one of my favorites! Playing with mini boats with ooey gooey Jello. Set this one up overnight to play the next day. 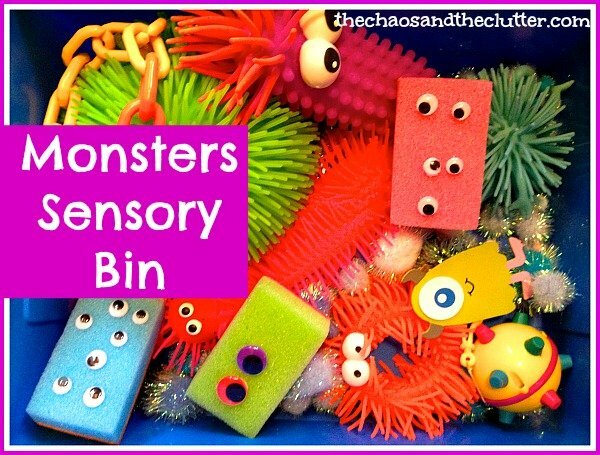 This sensory activity is a blast! These quivering gelatinous balls are made from Jello in silicone ice ball molds and will be so fun for kids to squish around and then eventually eat! Make sure you set it up over an easy-to-clean surface (or go outside where you can really make a mess)! This sensory activity is pretty delicious (and safe for taste-testing, unlike shaving cream)! It uses cream cheese and food coloring to create a shaving cream-like texture, in fun, bright colors that kids can squish and paint with. The best part? They can lick their fingers! Cranberry Sauce Sensory Tub | I Can Teach My Child! Cranberry sauce is no longer just for the Thanksgiving table! We all seem to have a can or two of jellied cranberry sauce in the back of our pantry, right? 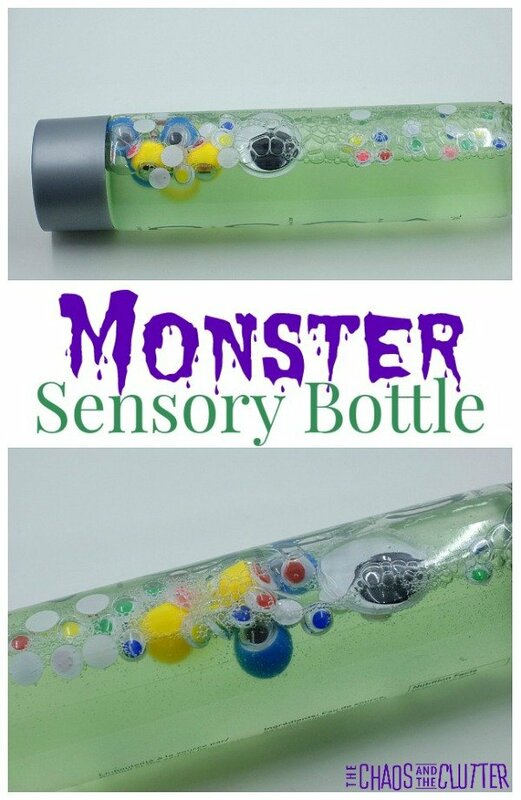 Let kids use it for a squishy, slippery sensory experience! A glass baking dish makes a great container for drawing, letter writing and more! With the right paint kids can use large windows or sliding doors as a canvas to paint to their hearts content. The bright colors look amazing and cheerful on your windows, and it hoses right off when you’re done! Have hours of fun outside with trays of washable non-toxic paint mixed with cornstarch. Cornstarch creates a very specific tactile sensory experience and the paint holds shapes and designs. It’s great for finger painting! Encourage your kids to play in the mud and use a material you probably have in abundance for free – dirt! Using simple sandbox tools kids can make mud bricks to stack and configure. This STEM activity is great for Lego-lovers and little builders. 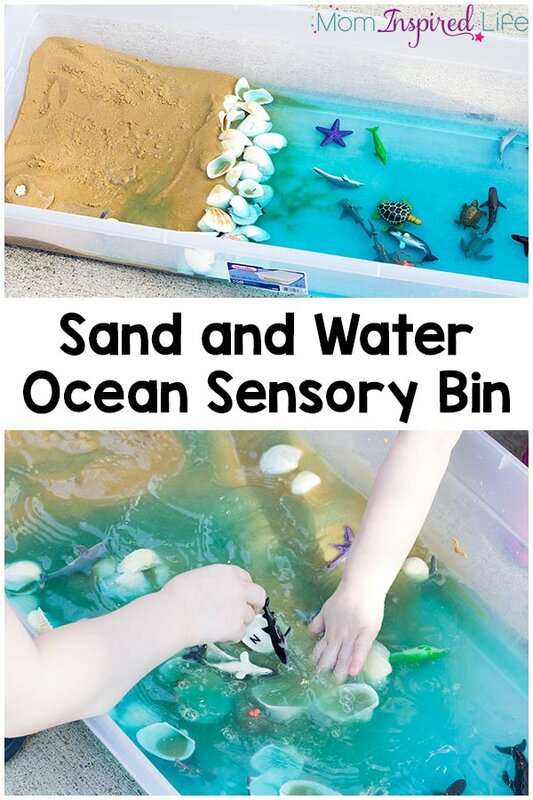 This sensory bin combines sand and water. Add plastic ocean figures, seashells and stones you’ve collected on the beach, and kids can have hours of wet, sandy play. Anything that’s waterproof is fair game! Another great edible sensory activity option, safe for oral sensory seekers! Let’s just point out the mom-genius of using a shower curtain liner as a kid-tarp, too. Brilliant! Hours of colorful sticky, squishy fun and cleanup is a snap. Non-toxic water beads are used by florists and in spas. 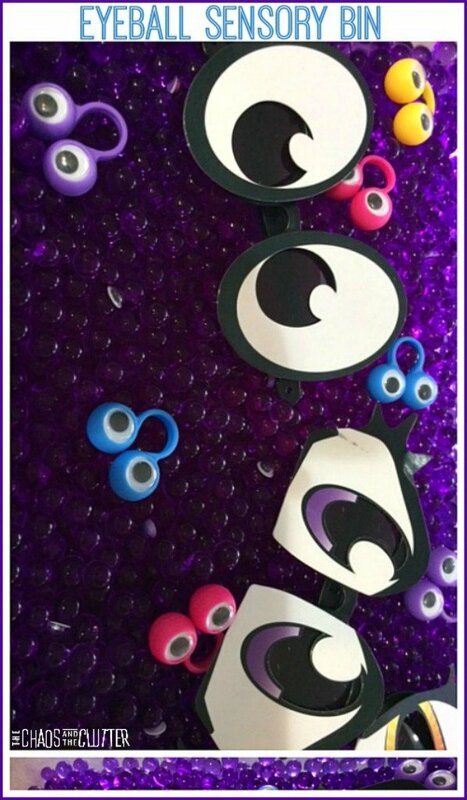 The squishy beads are a tactile sensory seeker’s dream already. Take it to the next level by freezing the beads for cool, icy fun. This is an especially great activity on a hot day! This is a great idea for a bright, messy, beautiful outdoor activity – perfect for those days when kids have tons of energy to let loose! Use powdered chalk or simply crush up your sidewalk chalk for vibrant paints. Another perfect outdoor activity! This one encourages motor skills while creating awesome Jackson Pollock-inspired art. Kids are fascinated by the negative space created by the tape, and the art is pretty enough to hang up after! This looks awesome for grown ups and kids – talk about a creative way to get out some frustration! Kids will build gross motor skills, using a rubber mallet in this addictive activity. I love how creative and simple this is! A few plastic spray bottles and some washable paint, and you’re in business. Kids will have a blast spray painting and creating all sorts of designs. Kids will love playing with ice. It offers a great sensory experience–feeling the cold, hearing the sounds of ice cubes creaking and clicking together and watching the water separate from the ice. Add a few kitchen tools for fun independent play. Workin’ at the car wash, yeah! 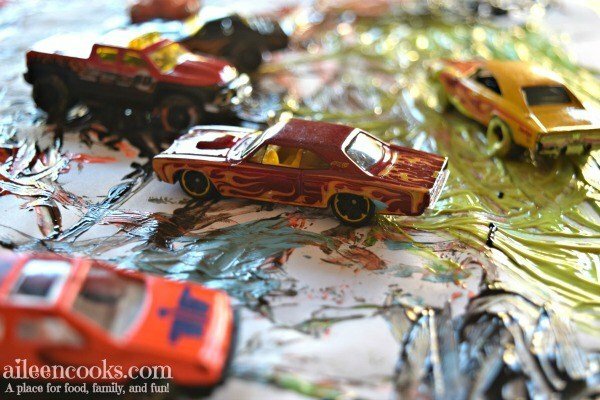 If your little ones have lots of toy cars and trucks lying around, this is the perfect sensory activity. Mimic mom and dad’s car washing, while exploring the nooks and crannies of toy cars and swishing them in soapy water. 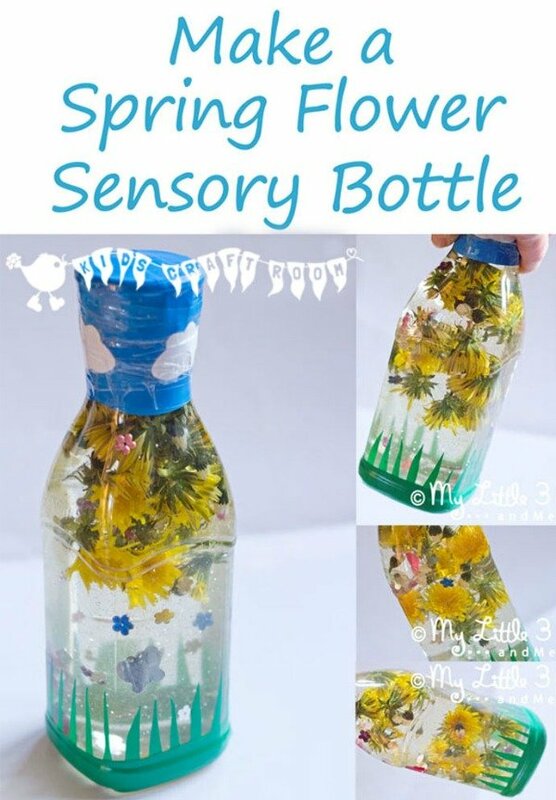 This sensory idea looks way more fun than playing dress-up with baby dolls! Kids can decorate dolly and give her a whole new look while feeling the squish of paint and smoothness of plastic. This activity is one of my favorites because we’ve all got these items lying around anyway which makes for a super easy set up! 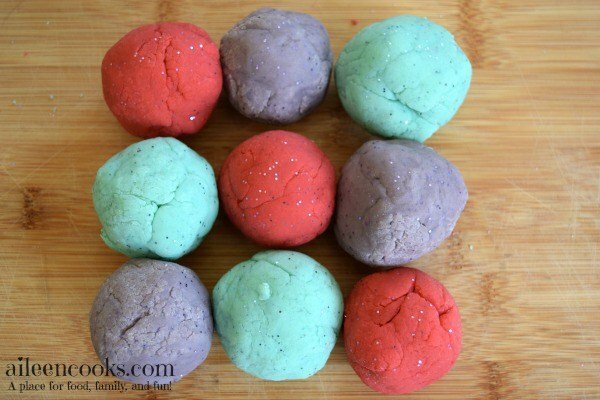 This make-at-home play dough a great texture. It’s also perfect for kids who seek oral sensory, or are simply curious about tasting while they play. It’s safe and smells wonderful! These water bombs are soft and squishy. They’re simple to make and are a great summertime activity for cooling off and playing in the hose. This is such a simple activity, but it provides hours of bubble fun! Have a contest to see who can blow the longest bubble snake. 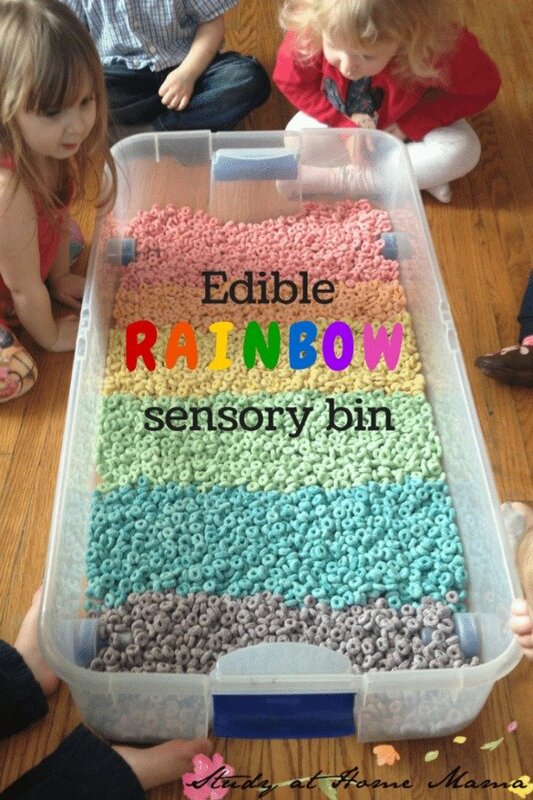 Another great sensory activity that’s totally edible! Squish and play with the tapioca, which is such a wonderful texture. It can be molded, colored and shaped into all sorts of amazing creations. Freezing toys in ice and then letting your kids “free” them by chipping away – what a creative idea! Kids can also focus on how the ice melts and the different textural experiences as it changes from a solid to a liquid. Of all these sensory integration activities for autism, this is one of the brightest and most vibrant. Using plain gelatin makes it look and smell great, but keeps kids from wanting to eat it. I love this idea for a different type of sensation – one that’s more gritty and sandy that gooey. This could be good for an indoor activity too, since the mess would be easier to clean up! Shredded Paper Sensory Tub | I Can Teach My Child! Add larger items for toddlers to avoid a choking hazard. I love the simplicity of the Cornflake sensory tub! You could use any cereal, but Cornflakes have the perfect texture and crunch. Treasure Hunt Sensory Tub | I Can Teach My Child! Cloudy with a Chance of Meatballs Sensory Tub | I Can Teach My Child! The leaf sensory bag makes use of all those leaves lying around the lawn in fall. I love any activity that let’s me use what I already have around! The shredded coconut gives a different textural sensory experience than some of the more common tactile options like cheerios – and the rainbow dye makes this extra fun! Being the parent or caregiver of a child with special needs isn’t easy, especially when everyday situations cause feelings of anxiety and overwhelm that interfere with daily functioning. While this collection of sensory activities for autistic children won’t eliminate these challenges, our hope is that they will help stimulate your child’s senses, develop their social, language, fine and gross motor, and self-control skills, increase their attention spans, and help them learn. If you liked this collection of sensory activities for kids with autism, please share it on Pinterest! And if you’re looking for more ways to have fun with your little ones, please follow our Kids board where we share all kinds of great ideas!